What Should I Do If I’m Stopped For a DUI in Arizona? How Will Weintraub & Weintraub Defend Me? Consumers purchase products with the expectation that the product will be safe and work properly. If manufacturing companies do not follow the correct protocol in creating the product, it may become defective. When this happens, products can malfunction and cause serious injuries to their users. If a consumer is injured because of a company’s negligence, that company may be held responsible for their injury. This is known as product liability. If you have been injured as a result of a defective product, it is important to speak to a skilled attorney. Companies have an obligation to their consumers to create a product that is safe for them to use. This is product liability. If a company makes mistakes or cuts corners while creating a product, consumers may become injured if they do not work correctly. When a company does this, product liability holds them responsible for any injuries that may happen as a result of a faulty product. It is possible for any product to become faulty during production, such as children’s toys, house appliances, and motor vehicles. If products can be harmful if they are used improperly, the company is required to provide warning labels with the product so they consumers are informed of how to use them correctly to avoid injury. Without this label, the consumer may become injured and the manufacturer may be at fault. If a consumer is injured due to a faulty product, they may be able to hold the company responsible through product liability laws. Design defect: If a product’s design causes an injury. This occurs when a designer does not consider consumer safety when creating it. In liability cases, the injured is required to show a safer and economically feasible alternative design. Manufacturer defect: If a manufacturer does not follow protocol and creates a product wrong, it can become defective and hurt a consumer. In this case, the injured is required to show the manufacturer deviated from the protocol in making the product. Failure to warn: If a company does not provide a warning label for a product that could be harmful if it used improperly. It is important to not get rid of a faulty product because it can be used as evidence in a lawsuit. If an individual is injured due to a faulty product, they may receive monetary compensation for the incident. If an injury requires medical help, the individual may be overcome with certain bills and expenses. If a company is found liable for this injury, they may owe the injured compensation for these costs. The state of Arizona only allows an injured individual to file a lawsuit within 2 years from the date of the accident. If it is not filed within this time, they may lose the opportunity to recover this compensation. If you have been injured as a result of a defective product and wish to speak with an attorney, contact Weintraub & Weintraub today. 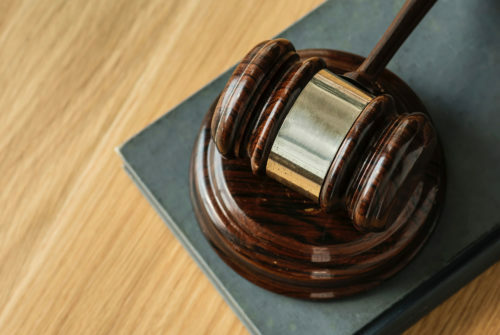 The legal team at Weintraub & Weintraub has years of experience representing clients who have been injured in accidents due to the negligence of others as well as those who are facing charges of driving under the influence. If you need strong legal representation, contact our firm today. © 2019 Weintraub & Weintraub. All Rights Reserved.